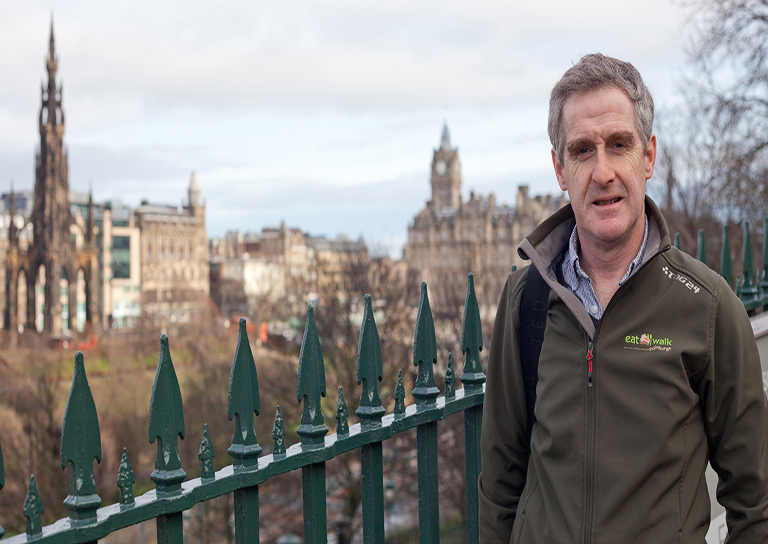 Hi, I am Alan Chalmers I started Eat walk tours Ltd in 2011 then known as Eat walk Edinburgh. The tours started to take off almost straight away in Edinburgh. 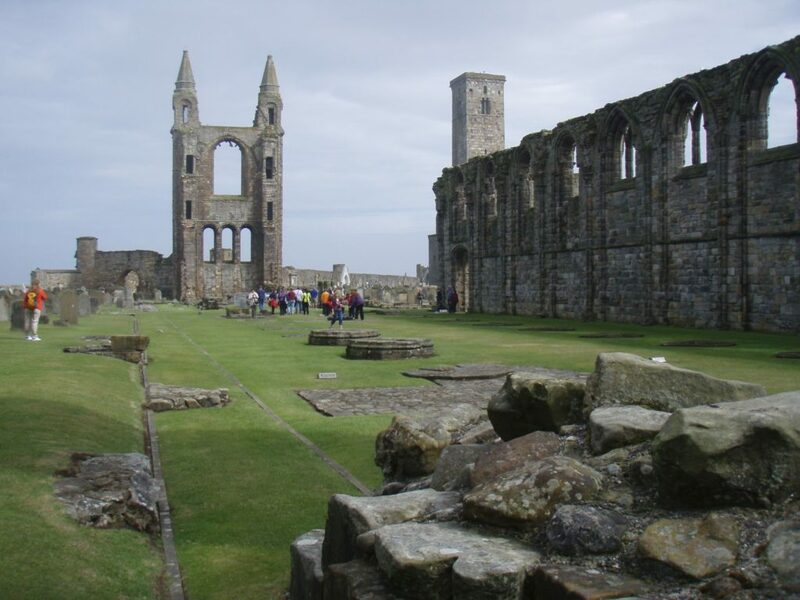 My daughter Sally was studying in St Andrews and I soon realised St Andrews would be a good location for a food walking tour. I am originally from Stirling but moved to Edinburgh in the late 70’s to study Hotel Management and apart from a short time in London I have worked mostly in Glasgow and Edinburgh in Hotel catering ever since. After a holiday in 2009 in Seattle, USA, when I enjoyed my first food tour I came back enthusing how Edinburgh would be a great place for a similar tour. As I was happy in my job, I gave it no further thought. But in 2011 I was laid off from my work after 20 years service and decided to make the most of this opportunity setting up a food walking tour in Edinburgh. The tour was a great success and after two years was supporting me and in a part-time basis two other guides. I then decided in 2013 to start the Eat walk St Andrews tour. Although a small town it is packed full of history and great bars shops and restaurants to explore. Most people know of the history of Scotland and that is the main reason they often come and I have built up a knowledge of my own country from speaking to visitors I have met over the years seeing the country I call home through their eyes. I decided to use this experience, with my knowledge of what great food and drink Scotland now has to offer. To show people around Edinburgh, St Andrews and Glasgow. In the hope it enhances their short stay in these places. 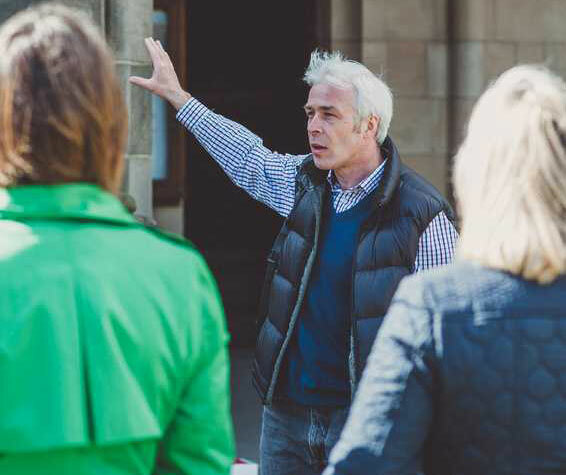 There is nothing better than having a local taking you around the town so Eat Walk Tours has recruited Fergus Cook to take a number of our St Andrews tours. Fergus has been a professional countryside ranger for 25 years, working in Ayrshire, Edinburgh and Perth. In that time he has led thousands of guided walks both in the countryside and in urban locations. Fergus has added another string to his bow and is now leading food walking tours for Eat walk St Andrews. Fergus lives five miles away in Balmullo, near Leuchars, with his partner and her two teenage boys. When the adjacent local authority had to make cuts, rather than lose a member of staff, he and three other countryside rangers decided to go part-time. This is what he does with the other two days. St Andrews is not only packed full of interesting history but also some great bars and restaurants. 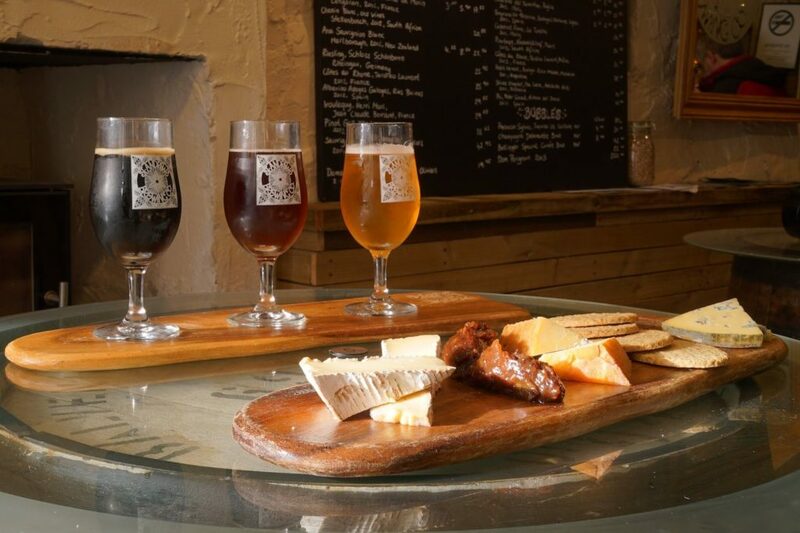 So why not take a food walking tour of St Andrews with a local who will not only talk about the history of the town but take you into bars and restaurants to taste locally sourced food and drink.